The G95 inverter offers a basic alternative to the conventional 180° Inverters. 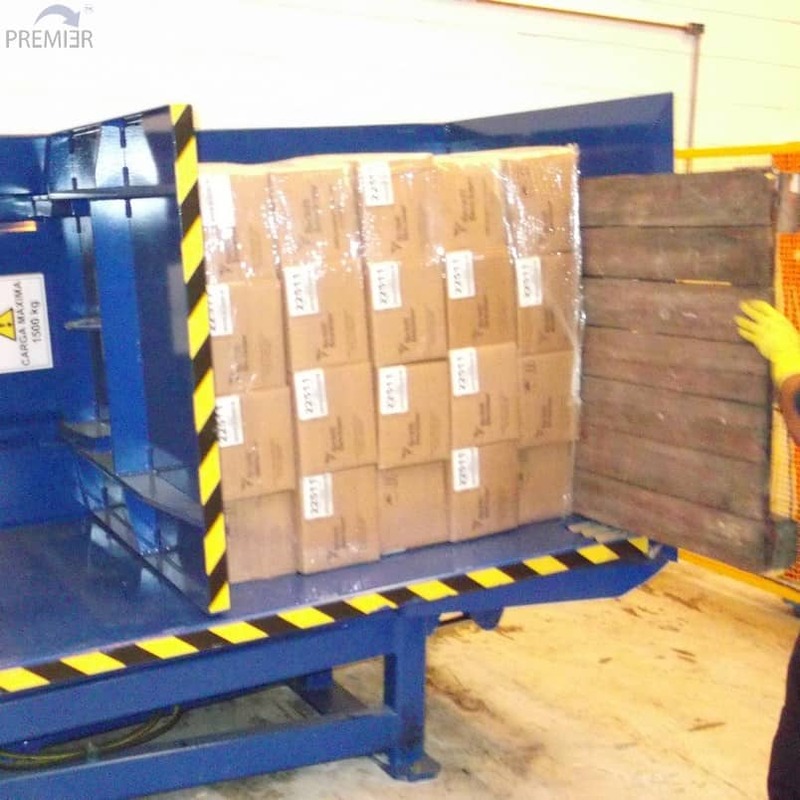 By tipping the load on its side just beyond 90° and opening the top clamp, the load is allowed to glide gently away from the pallet enabling its removal and exchange. All machines painted with two coats of zinc primer and a 2 pack epoxy acrylic top coat as standard. With two basic maximum jaw openings of 2250mm and 1950mm. We can also build special sizes on request. The G95 has a 1500 kg capacity. The G95 inverter works best with block-stacked, usually boxed, goods. Its robust construction makes it particularly suitable for coldstore operations where its also ideal for freezer separator removal. 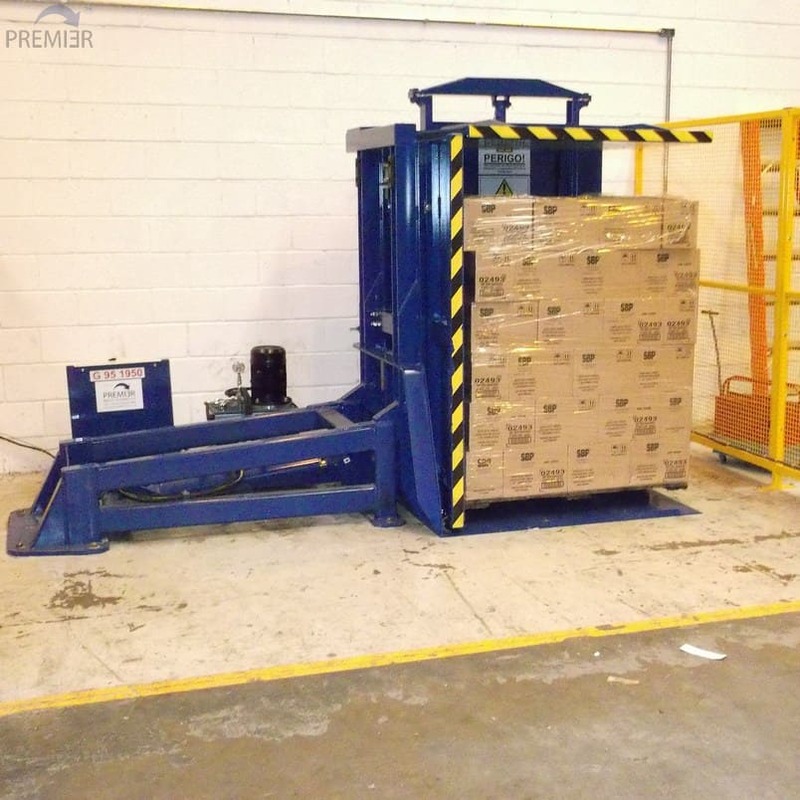 The G95 or pallet retriever style of pallet transfer system was first developed in the mid 1980’s for use in ambient areas of cold stores. 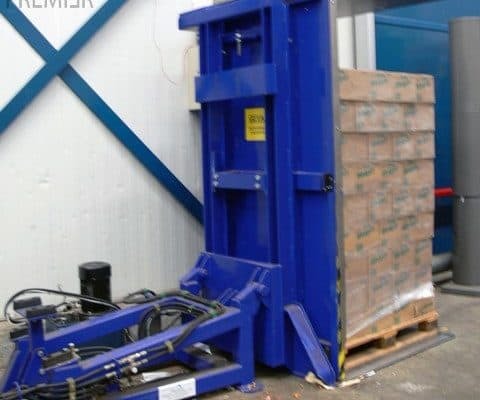 It was designed as an alternative to the conventional FS model which could not be loaded at ground level unless it was sited off the loading dock edge. The table of the G95 is flush to the floor and it has a single moving top clamp. The load is clamped gently and tipped on its side at an angle of up to 105°. The sidewall that the goods are now resting on is actually a sliding plate. As the top clamp is opened the plate slides downhill freeing the pallet for exchange. 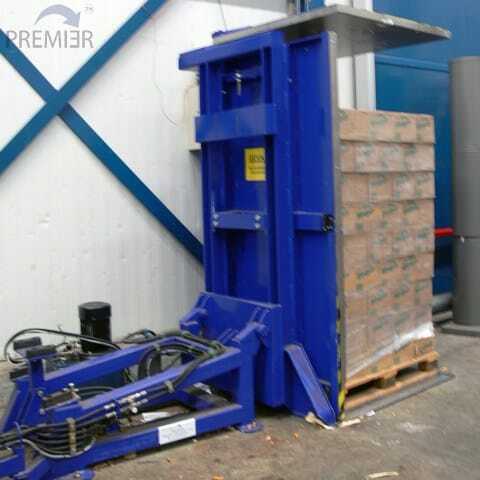 After a new pallet has been introduced the clamp is closed and the weight of the load takes the sidewall back uphill. The stack can then be uprighted and removed. The G95 is a simple and inexpensive system that is also surprisingly effective. 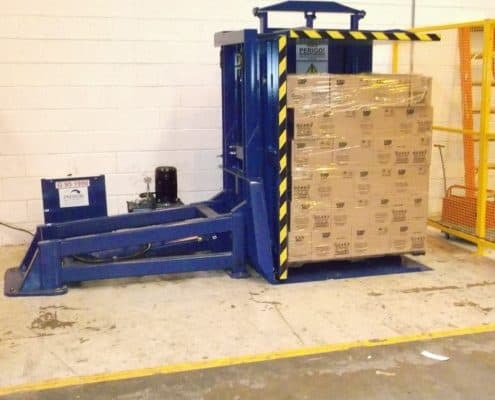 Its one drawback is that it will only handle block-stacked product, usually boxed goods which are stable resting on their side when the clamping pressure is released. 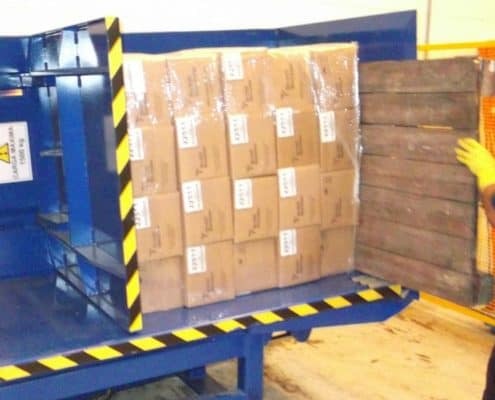 The load needs to be virtually to the perimeter of the pallet or it will be off-centred when the new pallet is put in place. Controls All models fitted with dual hydraulic lever controls as standard. Push button controls on a pendant or console available as an option.